I have received word that some demolition is going on at the church where Fr. George Rutler used to be pastor, Our Saviour. As you may know, Fr. Rutler was – in a move that surprised many – transferred not too long ago from Our Saviour on Park Avenue to St. Michael’s in Manhattan’s Hell’s Kitchen and was also made administrator of Holy Innocents in the Garment District. In any event, I am told that the new pastor at Our Saviour, Fr. Robbins, removing iconic artwork from the sanctuary. I was told at one point that the altar rail was slated for demolition. However, as one person clarified for me, the workman only cleaned it. When people had seen workmen concerning themselves with the rail they protested to the Archdiocese. Fr. Robbins thereafter said that it was not ever his intention for it to be removed. Or so it goes. Look. I understand that each pastor of a parish wants to be able to make adjustments, even improvements. But I don’t get this. Is it that he wants to restore the church to what it looked like before the Eastern style art was introduced? I suppose there is some sense in that sort of project, returning a building to the original intent. The artwork, added by Fr. Rutler, can only have been in place for about a dozen years, max, since that was the length of his term. I doubt that that is what is going on here. I suspect this is ideological, and not restoration at all. It looks like a modern example of iconoclasm. If the iconic work that frames the sanctuary has been effaced, how long can the work around the triumphal arch and in the tympanum of the apse survive? What’s going on there? Is this “Get Rutler!” time in NYC? Deface Rutler’s work at Our Saviour? Slate St. Michael’s and Holy Innocents for closure a year after he arrives? By next year he’ll be pastor of a cardboard box over a grate near the Hudson. More about the artist who painted the icons, Ken Woo. HERE He seems to be pretty well known. It would be nice to see some photos of the place from the 1950’s when it was built, and then into the 60’s, 70’s etc. to see the changes. This entry was posted in Liberals, Liturgy Science Theatre 3000, The Drill, You must be joking! and tagged Archd. New York, Fr. George Rutler, Manhattan, Our Saviour. Bookmark the permalink. 71 Responses to NYC – What’s up at Our Saviour Church where Fr. Rutler used to be pastor? Very troubling. I had hoped we had seen the last of this nonsense. The liturgical battles continue because we have conflicting visions of the purpose and meaning of liturgy and liturgical art. Let’s call it what it is – barbarism. Maybe iconoclasm, more like vandalism. Fr Rutler seemed to have achieved a subtle blending of the Latin and Orthodox traditions, which is surely above anything ecumenical. A sanctuary thrashing favoured by a particular sort of Novus Ordo fundamentalist, beyond what even a 17th century Protestant reformer might consider, seems quite likely. An Irish architectural forum I occasionally frequent, has or had a thread with side-by-side photos of some transformation efforts. Nothing in Vatican II gave sanction for of the plaster stripping, sanctuary emptying efforts, which vary between pseudo-ancient restorations and priest as Captain Kirk. Valuable craftwork done and paid for by parishioners past, got thrown away. Even to anyone indifferent to religion, the handiwork of some clerical wreckers can be astonishingly bad. It would be illegal too, if the churches were standard, listed heritage structures. One can only pray that Fr Robbins respects this church. Here’s a photo published in 2004, showing the plain painted columns before the icons were introduced. Perhaps the idea is to restore it to be as it was then. The icons were fantastic. So much art is then sold to people who put these in private collections instead of for the praying public. I saw a show years ago on television about gays collecting religious art for their homes and spending big money on this fetish. I hope these holy images were not sold. Like many things we thought had been put out to pasture, it looks like wreckovation is back. Sigh. I certainly see lots of cause for suspicion here. I have to say, though, that no one should have been surprised in the least that Fr. Rutler was transferred after two six-year terms, which ordinarily is the maximum around these parts for any pastor. Disappointed, sure, upset, sure, but not surprised any more than one should be surprised at a sunrise or a sunset. The archdiocese also has many outlying parishes in the mountains of upstate New York if someone really wanted to exile a priest– just something to keep in mind. “They can always hurt you more,” to quote The House of God, as previously quoted here. For what it’s worth, I just looked at the last 16 bulletins from Our Saviour (all that were available online) and none had any mention of what is going on there, nor did the web site itself, which is also suspicious. I think if I were a pastor, and I had nothing to hide, I would utilize this ordinary means of communication to explain what is visible to anyone who enters the nave. Hopefully, a sensible explanation will be forthcoming so that we won’t have to speculate. … By next year he’ll be pastor of a cardboard box over a grate near the Hudson….. It will quickly become the best-attended box in NY. Yet, his parish reminds everyone that if the word diversity retains any meaning, it is found on their icon filled walls. Only under Pax Catholica do you find Peter the fisherman and Theresa of Calcutta alongside Kings Edward the Confessor and Louis IX. Only the Church is universal enough to hold both Archangels and Joan of Arc. The iconography is a bridge between East and West, between the mysterious and the explicit. Woo also gained a reputation through his project at Our Savior Church at Park Avenue and 38th in New York, which won him Best Renovation of the Year and a 2006 Gold Leaf Award. He was the winning bidder of an international competition of seven artists from all around the world. The 24-foot-high icon recalling the great age of Cathedral painting took three phrases, six years, and funding from the Vatican, the church itself and private donations. Woo created a series of 27 paintings so large and broad that they had to use scaffolding, electric lifts and other high-tech equipment to install. The centerpiece of the work is 10 feet above the ground. It’s made up of 15 separate panels of treated wood with paint and gold lead. Thirty icons representing various saints are also included. On a similar track, to me, is the distress at the possibility of Holy Innocents going away. My response would be to look into attending St. Michael Russian Catholic Church on Mulberry street. One drawback is that they don’t have daily Liturgy. Instead of speculating, perhaps someone could ask. It could be worse…when we were repainting our church a couple of years ago, we found on the ceiling a beautiful painting of our patron saint on a round piece of canvas, which was very easy to detach from the roof. Whoever had redecorated the church in the 70s or 80s had painted right over it in just plain white. Nobody had known it was still up there until our painters found it, detached it, and saw where the paint had bled through on the other side. At least this priest took the art down instead of just painting over such priceless treasures. I had always hoped Fr Rutler would be designated bishop of the Anglican Ordinariate in N America. Can’t think of a more suitable person, since Fr Philips in the Anglican Use is married. That would get him away from the unwelcome attention of his diocesan and give the Ordinariate a well-needed shot in the arm. But I don’t think many of the hierarchy are enthusiastic about the Ordinariate flourishing either. How long the Babylonian captivity? Are the current machinations in the Archdiocese of New York illustrate the effect of papal atmospherics at a local level? Or do they represent the last throes of a failed generation of church leaders that is still riding high in chanceries and rectories? Or are there more benign local factors that are not apparent to those of us at a distance from the scene? Father Z., this is shocking, appalling. Do the people of the paris have no say in what is happening? Or the Archdiocese? No doubt, Father Rutler appears to be a real target on some people’s active list. One understands that goes with the territory for any Catholic priest in our times, coming from the usual suspects (Hell’s Bible, other media inhabitants, etc. )…to see it being played out so shamelessly and openly, within the Church, apparently, is absolutely horrifying. All of this is making me wonder who is behind it…and how much are they offering folks to do certain things…? One may scoff, but, from experience, this is how it works with this sort of thing. I didn’t know such beautiful churches existed on this side of the ocean. Thank you just for the photos themselves. I don’t know how such amazing beauty could be better known to those just visiting NYC. The columns were gorgeous also. Can’t imagine being the person to lay the first layer of paint over top that. You couldn’t pay me to do it. I used to give “Church Tours,” until my arthritis got to the point where I couldn’t walk so good. There are MANY beautiful churches in NYC and in Brooklyn. Many employed European Artisans and many are over 150 years old. It will be a “shanda” (as my Yiddish speaking friends say), to tear down and/or sell any of these beautiful churches. jhayes, If the idea is to restore to 1950’s, then, wouldn’t it follow in reason that the EF Mass also then be restored? This architectural subtraction is consistent with the liturgical subtraction at Our Saviour in the past year. Last September, only weeks after Father Rutler departed and the the new pastor took over, congregants at the Sunday 9 a.m. traditional Latin Mass were told that it was being discontinued — not at the end end of the year, not even a month from now, but now, or rather in approximately 40 minutes, when the Mass they were attending at that moment would be concluded. About the stripping of the murals, the silence in the Our Saviour bulletins and on its website is wrong but understandable from the point of view of a pastor hoping to undertake a controversial project without having to respond to criticism from laypeople. One advantage of doing something like this during the summer is that it’s the season that parishioners are most likely to be out of town. In the late 1980s, a stripping-of-the-altars project at the Church of Notre Dame, a beautiful landmarked church a few miles uptown, in Morningside Heights, provoked some laypeople to protest, and the whole affair ended up on the front page of the Metro section of the New York Times. The tabernacle was moved from the center of the sanctuary and off to the side. Large amounts of marble were removed. The altarpieces were now distorted, as the crucifix was lowered and the statues of the Blessed Mother and Saint John, on either side of it, looked up no longer at Jesus but at some phantom several feet above his head. I recall an amount that this was said to cost, but I won’t won’t repeat it, because I can’t verify it, although to my knowledge no one ever disputed that it was astronomical. The archdiocese gave the parish a loan that decades later it still had not paid off. It was an honest mistake, I believe. I came to know the priest who was pastor of Notre Dame at the time, and I always found him to be sincere, a man of integrity. Nonetheless, it was a mistake. Others might disagree and think that the only mistake was for the pastor to have been so forthcoming with his parishioners. In light of that and similar precedents, Father Robbins might have concluded that it would be prudent for him to proceed with as much stealth as he could manage. Father Rutler made the Church of Our Saviour a brighter candle in a dark city. We were blessed to have it for as long as we did, a good twelve years. Meanwhile, some of the nearby bright flames that worshipers have flown to since the dimming of the church on Park Avenue at 38th Street have recently been slated to be snuffed out by the archdiocese. We have our work cut out for us. Maybe by Monday they’ll get round to removing that large icon in the center. What sad news. I ask myself if these iconoclasts even bother to think of the money, the fundraising that went into commissioning those beautiful icons… In this church that is “poor and for the poor,” do we stand for an act of wastefulness like this? Is the throwaway culture against sacred art any less wrong? Also, the candles and crucifix arranged in the Benedictine style on the mensa of the altar have also been taken off the altar and placed next to the tabernacle leads me to suspect that ideology had a hand in this, or like a finger in the eye of the liturgical catechesis of the Pope-emeritus. If the Pastor is indeed responsible for this, then his inbox should be flooded with links to Mother Angelica’s chastisement of the Liberal Church in America…. If everyone would quit sniping and contact the pastor or parish staff, he/she would quickly learn that Fr. Robbins’ intent is far from what is being speculated here. Additionally, has anyone noticed, or even commented on,the fantastic improvement in the musical and liturgical standards since Fr. Robbins arrived? The music quality alone has gone from “typical” parish quality to a standard much above that of the Diocese’s Cathedral – dare I say not even comparable! Let’s start giving priests a chance before we blindly snipe their choices. Not all priests are aiming to tear down Tradition – sometimes their choices are in the best interest of the faithful – whether they or outsiders view it that way or not. Please pray for Fr. Robbins and the wonderful staff of Our Saviour! “Beauty is truth, truth beauty – that is all / Ye know on Earth, and all Ye need to know.” If Keats is right, then ugliness is . . . Disturbing to say the least. When I was able to visit there a couple of years ago the stark difference from the concrete and steel world outside to the richly painted and breathtakingly decorated was a most striking reminder that while the world spins on outside something different happens in here. To remove these icons is a great disservice to a city that needs to be reminded at times that it is not the center of the universe. It’s bad enough to see Holy Land sites blown up by enemies of the Faith, but when beautiful, moving religious art so faithfully created for this parish church and the glory of God is painted over by one of our own…. If you know otherwise, tell us, don’t just suggest. What precisely is his intent? Or are you just guessing? A pastor has a duty to make known what he is doing and why through his ordinary instruments of communication, not just implement it blindly in literally the dark of night. The artist who did the work was not consulted in its preservation when it was removed, which would be a truly basic step in responsible management of a valueable piece of the patrimony of the parish, even if it was decided it was better to remove the icons. The way that was handled was truly irresponsible. Brent S: If you know something, you should say what is going on [icon cleaning, water damage down the pillars, what have you], and not just tell other people to contact somebody who apparently was incommunicado when parishioners were wondering what is going on. If you’re worried about usurping official channels, just say it’s unofficial. Everybody: icons are usually painted on wood, canvas, etc. that is then affixed to the walls, not painted directly on the wall like a fresco. The holes in the pillar seem to be the holes that were holding up the icons, so they have been removed and not painted over. That said, if anything drastic happens in a church or anywhere else, it’s nice to leave a note near whatever it is, so that when people go to stare at it, they also receive info. I fear this is only the beginning of what is yet to come to that church. The Communion Rail was being cleaned (with the thousands of people that have leaned upon it that would be necessary from time to time). Yet thru the grapevine a simple cleaning-crew was blown up into “dismantling and removal” of the Altar Rail! The same be may true of those icons. They are out at some special icon cleaning place. A dozen years of incense and candle smoke takes its toll. It has not been announced for the protection of icons and panels themselves and the people doing the work. Too tempting for art thieves perhaps. Also, if the icons were meant to be permanently removed, those stark white pillars would have been immediately painted or covered with lovely felt banners or something. Big conclusions were jumped to with maybe no real reasons. This is the sort of paranoia and hyper-vigilance the Pope sees in “trads” and does not like. It’s what many people perceive in “trads” and call them rigid, narrow and judgmental. Psychologically speaking, it makes perfect sense that people attracted to tradition, form, grace, beauty, symmetry, ritual, order and precision are also inclined by nature to notice more detail and be more particular about it. However, in these times of confusion, let’s keep in mind that the way we see ourselves is not always how others see us. Let’s not get all worked up over injustices that have not happened. It’s hard enough dealing with the ones that have. While we await Brent S’s forthcoming exposition of Father Robbins’ unquestionablly good intentions, we might while away the time observing that the 6 suspended Sanctuary Lamps are gone too. Brent: is Father to be credited with one good intetnion for that move, or six? jhayes, It’s a pity that much of the text of that sermon is left off due to an issue with margins on the webpage. It’s an interesting issue, how pastors handle coming in to established parish communities. In this case when it was vibrant, financially more than sound, and even a major contributor to the revival of an appreciation of the intersection of faith and beauty, and in praxis, orthopraxis at that, with excellent catechesis, music, and a sanctuary that was slowly and over time enhanced and adorned with the infinity of God’s beauty by human and prayerful hands, to not consult the congregation and the leaders of the parish on things and to make rash decisions in a secretive and clericalist and heavy handed manner to dismantle various efforts undertaken by laity working with the pastor together is not commensurate with either the spirt nor the letter of Vatican II. The pretense is that this new pastor is somehow a superior practitioner of the faith and needs not consult anyone when it comes to these steps. The Extraordinary Form was offered there, for instance, because there was a stable group that desired it. The music was superb under Father Rutler also…chants at the Novus Ordo with hymns sung beautifully. Perhaps it was not of “performance” character however it was always techincally proficient and I for one always felt that the music was superior by far to any “performance” caliber music because the choir practiced the faith, were not paid by and large, and, were literally praying the chants and prayers with the congregation in prayerful solidarity. The congregation prayed along. No one was being performed to. I do not regard that aspect of parish life to be something to be regarded lightly or dismissed. Music that is prayed as opposed to performed has a human authenticity in praise of God and participation of the communion of Holy Mother Church that professional performers just do not offer, no matter how stunningly technically performed. Thank you for posting Fr. Rutler’s farewell. I’ve never had the pleasure of hearing him preach in person, but I’ve seen him on EWTN. This farewell of his just cements my own perception of him for me. He strikes me as a highly educated and intelligent man; one who is capable of thinking circles around most people. He could laud it over them, but doesn’t condescend to others. He’s far too humble to do such a thing. He also strikes me as a man of class, culture, and refinement; more attributes that he could easily laud over others, but does not and would not. Most importantly, he seems to me to be a goodly man, striving to lead a life of holiness and saintliness, and encouraging others to do the same by his fine example. His farewell to his parishioners is proof of how I’ve always perceived him to be. May the Lord Bless him and keep him in his new assignment. For those of us unfamiliar with the liturgy at Our Savior Church (past or present), could you provide some detail regarding “the fantastic improvement in the musical and liturgical standards” since the new pastor arrived? What has changed, and how? I looked through the weekly bulletins that are posted online to see if they contained an explanation. Nothing there regarding the removal but I did notice that commencing with the July 13th bulletin the parish began reporting its weekly collection. It appears that the parish appears to collect about $4,000 per week in combined offerings and wonder how it manages to be viable at that level. It may be my ignorance, but is there some church law that prohibits a pastor from painting over award-winning art, funded by the Vatican, the diocese and individuals? (the shadows of the previous pictures can be faintly seen beneath the white-out). This is infuriating because the pastor is acting as if the church is owned by him for his own pleasure. Just as people do when selling relics or putting sacred vessels in a museum (slightly better), they try to destroy my patrimony. O Lord, when will the weak and powerless know your righteousness in all things? I am surprised to see this gossip. Somewhere, there are persons who actually know what’s going on. Finally, if the altar rail came down, it would not stop the Mass! Can you imagine the Grunt Padre carrying around a 100-ft altar rail in his jeep in Vietnam? Let’s think a little outside the box here please. It’s never really beneficial to the people pastorally to come in and introduce rupture…we always benefit from building with continuity upon what is good. The sanctuary lamps have been removed? JoanA., so it’s merely that the so-called by you “trads” who are all of those things you assign, were driven away from the parish and not the little details such as altar icons and sanctuary lamps…? I guess that was accomplished when the EF was given the heave ho in the manner specified above. So who are these alleged trads that are all in an uproar now? You might minimize so many things as minor details but taken as a whole with the entire approach…? You also used the word “paranoid”, how lovely. And yes let’s also talk about the “real” injustices that have happened, are happening, that some of us, many of us, must now contend with…why not. And when those all happened and you throw out your little “paranoid” thingy, well. I just cannot fathom how a pastor, any pastor, can (and does) take such liberties. Atrocious. @benedetta – What a brilliant comment, thank you. It is so true that super bright lighting, and this “performance-quality” take to worship does indeed snuff out the transcendent. It seemed that even the dim lighting formerly found at Holy Saviour helped in accentuating the mystical quality of the icons, the altar candles, and the removed sanctuary lamps..it’s a natural quality which studio quality lighting and performance choirs drive out. This has always been my impression during Masses at the Upper Church of the National Shrine, at St. Patricks Cathedral, and been at St. Peters Basilica to a degree (improved under Benedict XVI)…both for the lighting and a mega executed liturgy planned by staff members with PhDs. Heaven HELP you if you ever have a suggestion by us mere mortals for them…! @BrentS – you don’t deserve to be jumped on here for your defense of the pastor. I simply as you that if his reasons are so important, then why did he not consult his parishioners to seeming they wanted the artwork removed and whitewashed? Was there ever a “do you all want this to happen?” moment from the pulpit or bulletin or website from him? And finally I would remind all that “eastern” perceived iconography was once the common patrimony of both East and West… Have none of you been to St. Marks in Venice or to Ravenna? Our tradition may have adopted statues and the renaissance and baroque may have evolved sacred art in the West, but in the first millennium of Christianity, “eastern-style” iconography was it. So there was nothing foreign about them, on the contrary, they were a brilliant reminder by Father Rutler in how we can truly beautify our “worship spaces” in our own times. Whether intentional or unintentional, this is iconoclasm plain and simple. God bless you Father Rutler for your witness and for your suffering. More surprising to me is what I discovered when I looked at the most recent bulletin. Weekly collections are only about $4,000? How do they even make ends meet on that? I have no way of knowing what collections were back in Fr. Rutler’s day, but for a parish of that size, in that particular neighborhood of New York City (on Park Ave., no less), that’s shockingly low. By way of comparison, my parish in a middle class neighborhood in Queens has five weekend Masses (as opposed to Our Savior’s four), and our weekly collection is almost four times as much. I’d be curious to know how many registered parishioners Our Savior has, and what the weekend Mass attendance is like. Maybe there just aren’t many practicing Catholics in that part of the city. It is interesting to read the comments of those who admire Fr. Robbins at the post Nicholas Frankovich links, and especially many of the terms in which they do so. One says, ” Anyone who thinks for one moment that […] Fr. Robbins intended to do architectual violence to the sanctuary are people with impenetrable issues” (etc.). Well, a year later, some rather dramatic visual “violence” has indeed been at least temporarily done to the sanctuary, apparently without clearly making any public explanation by the obvious means, so far. What terms are appropriate for this… ‘solecism’? Inept? Discourteous? A bêtise? There are clergy who seem to delight in the fait accompli. Is this often an attractive, persuasive, ‘pastoral’ way of going about things? Even if it is only allowing such an impression to arise, or persist temporarily? This seems a point Brent S and Joan A., for instance, might fruitfully address. Pingback: Who Needs Isis? AmChurch Meat Grinder Hitting Our Saviour Church NYC? So to keep us from errors. Like time could not pass. Once again to be seen. In their black open minds. It appears that the parish appears to collect about $4,000 per week in combined offerings and wonder how it manages to be viable at that level. Actually, if the parish is debt free, and the HVAC equipment is reasonably up to date, it’s not inconceivable they could be operating in the black right now, especially with appropriate economies – and given also that this is likely the lowest giving period of the year. In a church like that, the maintenance/utilities budget is usually by far the biggest ledger. I also don’t know if they have any sizable endowment fund to fall back on. My sense is that the collection and attendance were higher during Fr. Rutler’s tenure, but the locals here can perhaps weigh in on that. I really do hope that the icons are only being taken down for cleaning. On the Facebook page of the Latin Mass community up in Albany, one will find a photo of their new bishop partaking in what appears to be the administration of confirmation according to the old books. One will also find a comment by one Fr. Robert Robbins that reads as follows: “Ridiculous for Albany.” That’s right, for Fr. Robbins, a bishop granting the legitimate aspirations of his flock is ridiculous , so ridiculous, in fact, that Robbins could not exercise the discretion to resist making his snide comment. The question that I have is, was Robbins’ evident antipathy to the Latin Mass known to whoever decided to move him to Church of Our Saviour? I suspect so. This is pretty incredible. Iconic art, predominant in the architecture, is removed with no word on why or where it is. I can’t imagine anyone doing such a thing. Does a priest own a church? Is it his? Or does it belong to the people as well, the ones who come into that church day in and day out, trying to find Jesus, a place for quiet prayer or reflection. To say that icons that have been viewed and appreciated by parishioners can just disappear with no comment! Why do we always bend backwards to justify wrong behavior?? It is WRONG to do anything to those icons without mentioning it to parishioners for just this reason! There is no excuse for this. How upsetting this would be to anyone who loves this church and those icons! What about the people who count on that sacred space and come in to find…whitewash? Those icons are hopefully out being cleaned, but still, the people should of course be informed via the bulletin, at least. If they do not come back it is an outrage. People give money every week for the upkeep of the church and this is a poor way to treat the people who subsidize the church, if one can’t think of any other reason to be considerate to them. I’m not always happy with every little thing in our local parish but never have we come in to find something disrupted or taken down without explanation! We are told when the roof needs replacing or the stained glass must be cleaned. It is unimaginable that any of our local priests would take it upon himself to remove actual ART. That is shocking. Why is it not perfectly reasonable to come to conclusions about the facts as they are already known, and then to make reasonable assumptions? It is not gossip. It is not slander. It is reasonable. Let them explain why the icons are not there and why notice was not given the poor people who attend or visit. It is past the time for everyone to gape with mouths open at walls falling down around our ears and then to just go home and weep. Make some holy lio for crying out loud. Some holy lio might do us all a level of good on these matters! Fr. Rutler is one of a kind. His new parish is blessed indeed. TaylorKH, right, because a sanctuary established in the 1950s in Manhattan is akin to…military worship on the battlefield in…Vietnam? OK then…Perhaps you are right…The EF should be offered everywhere with great proliferation, in all times and places, no matter! On the financial situation I suppose paying music people and hiring staff must increase expenses at some point. I was not aware that Our Saviour’s was on the closure list? No doubt resources in the Church are relatively scant in this country at this particular moment in history. If attendance is down in a particular church then closure may indeed be a reasonable measure with resources placed which will bear fruit. I do know a good number of vocations surfaced from Our Saviour during Fr. Rutler’s tenure. John Chrysostom, by the way, was the saint whose icon was, fittingly, the one closest to the pulpit at Our Saviour. Moderator (Fr Z) you may want to delete my previous post with the non-sensicle typo in it. An organization called SPORCH (http://www.sporch.org) uses one of our parish buildings. A lady who runs it has been working to save our heritage art and financing it through the sale of traveling altar cards. Check them out when you have such an issue arise, they may know some way to help. Frahobbit: Don’t know about canon law but there certainly is a federal law giving artists’ rights over their artwork, regardless of who owns the physical work or the copyright. It’s called Visual Artist’s Rights or something like that. In effect the artist can sue, IIRC, both for damages and to enjoin destruction of the work. If the artist is interested, I dare say there is no shortage of attorneys in a major city like New York who would be knowledgeable in that area. I like the way people seem to think $4,000 a week is somehow a small amount. Parishes in the UK pull in between 10-20% of that a week! That just makes me want to cry. I can’t even imagine how those parishioners must feel to have their most sacred space vandalized by the person who was entrusted to be the guardian of it. How horrible. This is Dolan at his best getting rid of such things as the Latin mass. When someone in the Church of his caliber sits down to dinner with Mr. O from the White House and thinks nothing of it, while he laughs and guffaws the nights away, stop all the conjecturing. There is an agenda here. @Henry Edwards … Or do they represent the last throes of a failed generation of church leaders that is still riding high in chanceries and rectories? You got it! In my parish in NJ our pastor doesn’t even bow or genuflect when crossing the altar when arranging his prayer books before mass. No piety, no reverence, and if he keeps this up, there’s gonna be no money in the basket! I have tremendous respect for fr. Rutler, though like another poster, I only know him from EWTN and his writings. I do not know the new Priest at Holy Innocents, nor have I ever been there. But what I see, and what i discern, is a further example of the Protestantization of the Church which many of us lived through in the 60,s to the 80,s as Our Heritage was stripped way to create a bland pablum of liturgy that many protestants could find little to argue with. Archbishop Bugnini, of N.O. Fame, is quoted as giving his reasoning behind the wholesale deconstruction of the Mass as “removing impediments to our protestant brethren”, and the modern iconoclasm of the Spirit of V-II crowd is in the same vein. Considering the Current Pontiff, it seems the flower children are again trying to leave their mark on the Church, dispelling any suggestion of a return to orthodox Catholic theology and liturgy.I empathize with the Parishioners of Holy Innocents, and I pray that these seemingly unwise changes to their sanctuary and Liturgy will be reversed. I would be interested the know if the cancellation of the EF has had a marked reduction on weekly collections. In my experience supporters of the Extraordinary Form are very generous to the Church. If they have been chased away has their loss been economically detrimental to the parish. I like you wonder if this is a backlash against the actions of the present pastor, or perhaps even his replacement of Fr. Rutler, something that is not his doing. If it is a reaction to what he is doing perhaps he should think about his actions since coming to Our Savior. In a place like New York where one can practically hit a dozen churches by swinging a cat, as we say, people are more likely to vote with their feet, than say in a suburban parish, where the next Catholic Church might be in the next town. @Joan This is the sort of paranoia and hyper-vigilance the Pope sees in “trads” and does not like. It’s what many people perceive in “trads” and call them rigid, narrow and judgmental. There certainly is cause for concern. @tealady24 At least WRT genuflection, I’m not sure if something came down from higher, presumably a directive from the USCCB or archdiocese maybe(? ), or not in regards to the conduct of the Mass. I’ve noticed our priests & deacons genuflect crossing the altar outside of the context of Mass (going to or from the confessionals, or during preparations setting up the altar Missal, etc) but during the Mass, it’s only the bows outside of the adoration during the consecration. I would suspect it’s to match the instruction to various lay readers and EMHC. Solve that problem by clergy and vested substitutues only inside the sanctuary. Mixed feelings. Aesthetically, the icons look much better than the plain white pillars. I do like Eastern iconography but I do think question how appropriate it is in Latin Rite churches. I LOVE that Sanctuary regardless, though. Right out of Fortescue (perhaps needs an antipendium) and absolutely beautiful. @Johannes de Silentio : Thank you for pointing out the Albany link; it is delightful. Bishop Ed Scharfenburger was pastor of St Matthias in Ridgewood, Queens just prior to this. He is truly missed. The apparent desacralization of Our Savior Church by its pastor does nothing to counter this view, given that this destruction of the sacred surely enjoys some level of institutional approval in the Archdiocese of New York. Put the icons and Eastern lamps back and give the Church to the Syro-Malankara Exarchate based in Long Island. I’m sure the Bishop wouldn’t mind making an arrangement to continue the TLM for the stable group that requests it, and would even open the parish for Ordinariate Use. Why not pool the resources of both, and the Exarchate; keep the Church as is, and allow multiple communities to worship in the same space. We can learn from each other, and since Easterners are inherently traditional, as are Ordinariate and TLMers.. I’m sure we’d all get along. I have followed this blog for quite a while with some interest, but this situation at the Church of Our Saviour has inspired me to speak. Perhaps I don’t fit the mold of most readers in that while I do truly appreciate the TLM, my personal preference is for the Novus Ordo done with the same devotion and detail. Over the past 7 or so years, I have come to know this parish quite well through my wife whose work often brings her to Park Ave. Though we have always firmly believed Catholics ought to support their geographic parish regardless of its “appeal” – ours is down by Union Square – we have come to make Our Saviour a second home. We have always been deeply inspired by Fr. Rutler. We also agree with Brent above, that Fr. Robbins appears to have brought music of a very high quality to this parish. His homilies have not yet struck me as ideologically liberal. My wife disagrees, but he seems to me to be a sort of middle of the road pastor. I simply can not fathom why he or the almighty Archdiocese would see fit to remove such seminal works of sacred art for any reason but cleaning. Absent a convincing and compelling (thought already late) explanation, any other intention is bald faced desecration. Fr. Rutler calls it “Providence”. Quite right. The soul of a neophyte and his offering to God and his Chuch for the gift of faith are linked precisely to these incredible icons. Had they been of inferior quality, or were there some great symbolic or artistic merit to the previous arrangement, there *may* be a legitimate argument. But there was nothing there! Blank plaster pillars? Is this meant to inspire apophatic contemplation of God by negation? When they went in, it was considered a great triumph in the legitimate tradition of sacred art. The skill and discipline shown in their form and execution have been widely acclaimed. Does the pastor intend to commission something NEW for the space? If so, can the pastor justify such crude insensitivity to his predecessor and this artist? To remove such expertly written icons would be an artistic tragedy even if created by an Atheist. To remove the prayer of a man of faith is the work of Satan. We’ve endured generations of revisionist clerical arrogance. If the icons do not return, we will pray in earnest for Fr. Robbins, but I can assure you we will never again darken the doorstep of Our Saviour during his tenure. I pray that if they are removed “permanently” by this pastor that they are carefully preserved so that his act of artistic, architectural and personal destruction may be reversed by his successor. Update here from Stuart Chessman, a very knowledgeable observer of the traditional mass scene in the New York City metro area. Still no explanation from the pastor. Johannes de Silentio, If what you say is true about this Facebook comment, and, I have no way of knowing whether it is, but if that is the case, then it raises some disturbing questions. If a stable group is worshipping already in a place, then that group needs pastoral care and planning at the archdiocesan level. Reasonably and in the spirit of the motu proprio, there would have been an inquiry with the proposed new pastor to ascertain whether he was able to celebrate the EF or open to learning it in order to spiritually care for the flock already in place and not abandon them or drive them away. This would of course apply for a Hispanic apostolate or something similar. When the EF was discontinued at Our Saviour’s, there were several rationalizations given. It seems that in fact a decision was made to favor a group of worshippers who desire or require or are attached to entertainment and virtuoso quality music at a Sunday Novus Ordo at the expense of other worshippers already there and telling them, in a distasteful manner pastorally and without care for their spiritual well being, to “merely” go away. It’s one thing where in a parish a pastor is so strapped with responsibilities who has to cut programs but it is quite another to expand investment in one area and in the same breath turn a stable group of Catholics away for good. From the outside looking in, this timeline of events and actions indeed looks like hostility towards Catholics who appreciate and desire the sacraments celebrated in the EF, many of whom are young Catholics who are quite active as Catholics in works of mercy and evangelism in their own spheres, something that really should have been avoided at all costs. Perhaps the pastor felt ungenerous or hostile towards Catholics who prefer the EF, which I might add has the benefit of outstanding music, music for the Church which only came from the EF and not the other way around. However certainly at the administrative level at the Archdiocese, the folks having charge of assigning pastors and caring for already established flocks ought to have been more kind and generous towards these Catholics. From what I have read thus far, Cardinal Dolan has not been involved in that level of decision making. Likely the scenario was that this pastor assured the Cardinal that while he himself could not celebrate the EF (not sure whether he admitted that he also ridiculed others who did on Facebook?) that he would provide for those in his parish pastorally. Then when he got ensconced, it seems, he did his own thing. benedetta says: Johannes de Silentio, If what you say is true about this Facebook comment, and, I have no way of knowing whether it is . . . Nor has any of the rest of us; the comment appears to have been pulled down. The comment was made on July 24, 2014, at 12:28 a.m. I have a screen shot. The two purportedly well-informed comments on his post are noteworthy as well! Is not one of the glories of the hierarchy that hierarchs can intervene for the good? Wonderful! I was hoping Mr. Frankovich would put this information to use in the way I am sure he is best positioned to do. I took real umbrage at Fr. Robbins’ comment. The first Latin Mass I ever attended was at Church of Our Saviour in 2009. I was familiar with Fr. 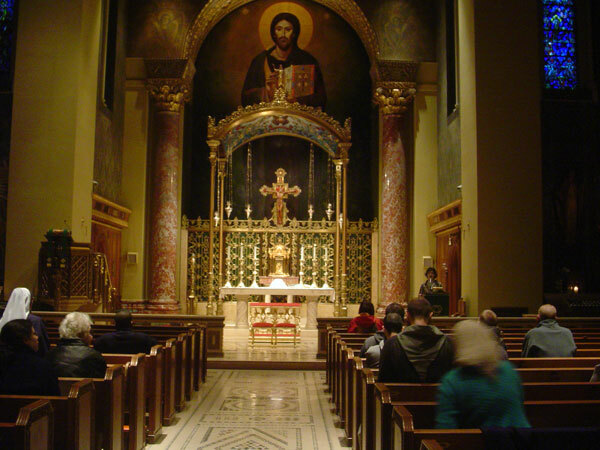 Rutler’s series Christ and the City and, once I learned that he had begun the Latin Mass, I felt no hesitation in going to see just what all this stuff was about anyway, and boy I am glad I did. One often gets the impression that that is precisely the sort of thing that folks in some quarters would like to put a halt to. As Bishop Athanasius Schneider has said, thank God for the internet!